Siegel Suites Tolleson Apartments - Affordable & Convenenient - Call now! Find your low-cost, furnished apartment in Phoenix! Siegel Suites Tolleson Apartments is the best choice in affordable, flexible-stay living. We are conveniently located adjacent to I-10 and a short drive to Downtown Phoenix, Arizona. Additionally, we are surrounded by multiple shops and restaurants. Some of the shopping locations include Desert Sky Mall, Costco, and Walmart. There are many restaurants nearby such as Raising Canes, Panera Bread and Olive Garden. Our move-in ready studio, one bedroom, and two bedroom apartments are fully furnished (unfurnished apartments are also available on request). Not sure how long you will need your low cost place in Phoenix? We’re flexible with a variety options to suit your needs. 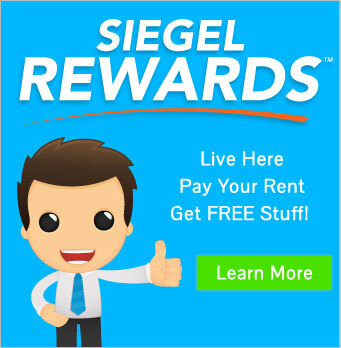 Rent your affordable apartment today with no long term lease, your choice of low weekly* or monthly payment options, with bad credit ok. Siegel Suites Tolleson, also, provides a sparkling pool, fitness center, and laundry facilities. Get more details below. Then call us at 623-300-2702, or email us to reserve your Phoenix, Arizona apartment at Siegel Suites Tolleson.